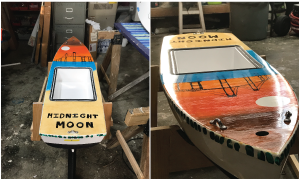 The story of the Midnight Moon was shared by the Jamestown Press – read the article, Melrose boat adrift at sea, bound for Europe here. The Midnight Moon sailed across the Atlantic and went quiet just near the Azores in November. She reported two other positions but the battery appears to be drained. Her last report was on December 10, 2018 at 42.26567029953 -27.000188827515 (not shown on map). We hope she makes landfall and is found soon! The Midnight Moon is now aboard the F/V Terri Ann and ready to be launched on February 6 off George’s Bank along with another miniboat, the Nequasset. CISF Director Meg Myles drove Midnight Moon up to Sandwich, Mass. so it can be launched off George’s Bank by fisherman Marc Palombo. 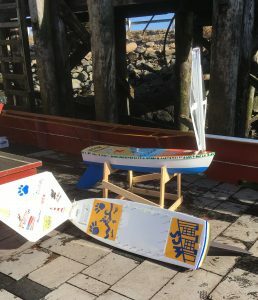 The project was also highlighted in the news: School children to leave mark on Atlantic in the Jamestown Press (a local Rhode Island newspaper). These boats are the first boats out of Rhode Island for Educational Passages! 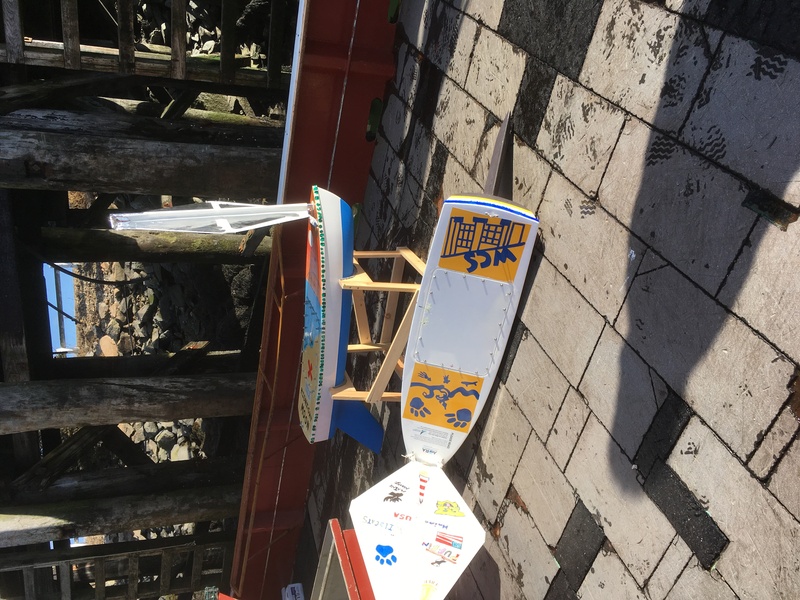 CISF and the Melrose School assembled their miniboat in December and January, see pictures below! 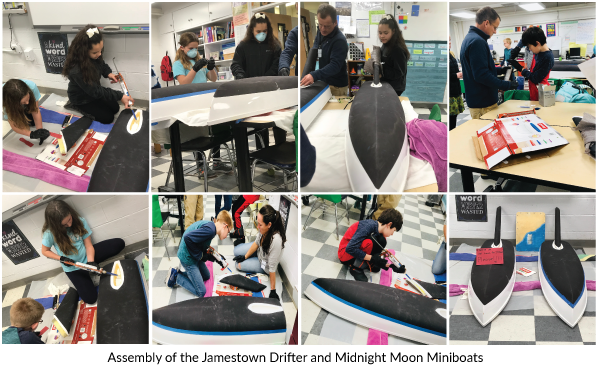 CISF also built a miniboat with the Lawn School (the Jamestown Drifter) which is being fitted with a sensor package to record air and water temperature.